Having played shows, toured with the likes of Julien Barbagallo (Tame Impala) and received airplay across the UK including BBC Radio 2, the Midlands outfit are now set to return with their debut album “Young and Brave” on the 13/04/2018. 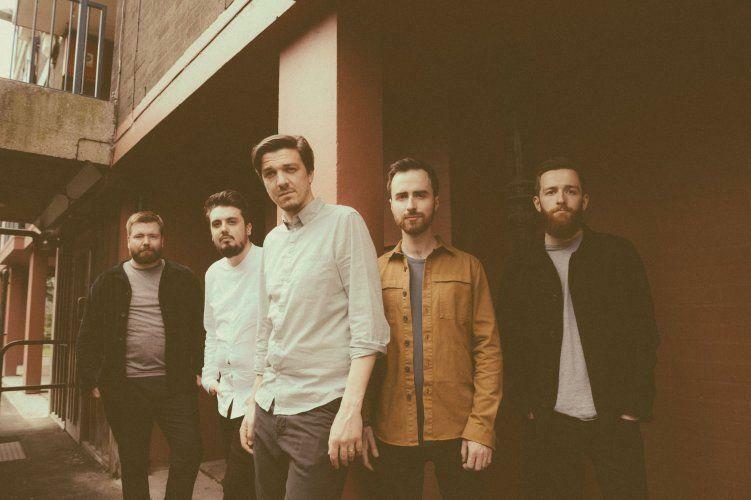 Having crowd-funded the album back in 2017 the band worked with producer Gavin Monaghan (The Sherlocks) to produce an exciting debut album thats not to be missed. Alongside the album release Speak, Brother are set to tour the UK with a range of dates covering from Glasgow to London in early April. Speak, Brother is a band that we have been following fairly closely for the last couple of years. A few summer's back I ran into the band at a number of events and even interviewed James Herring a couple of times (1|2) about where the band was heading. Then they released an EP called "Light Run's After Us" and then there was talk of an album. Originally planned for late 2017, it had an initial single release called "He'll Fight", a track that actually hasn't made it onto the final album. Their second single released in September and is the first track on the album called "Magnificent". Since the album launch the guys have been busy raising money for charity with their Peak Brother challenge, seeing them climb Ben Nevis, Scalfell Pike and Snowdon in an epic climbing marathon. They completed it and raised over £3,000 for the charity Hope and Homes for Children. "Magnificent" is a great start to the album and the lyrics speak of the hope and promise of a new life, before the world tells you what you cannot be, you are already magnificent. We are all born this way, no matter what comes further down the road of life. James has the perfect voice to carry off this type of song, carrying the vocal without any backing at first, this a powerful song that anyone can listen to and be encouraged. 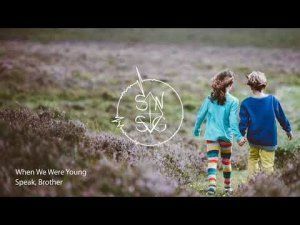 "When We Were Young" is a continuation of this idea but now looking back at childhood in a wistful way, where did our youth and innocence go? The times that saw us playing, using our imagination, but now we are pressured in every way, stifled by our concrete surroundings! This song is a prayer to God and ourselves to keep our imaginative, fearless, innocence! We get so pressured and locked in, that a step into the unknown freaks us out at the cost of our creativity. This is further explored in the wonderfully titled "Pond Boy". So happy in his own small pond, he doesn't want to move out of his comfort zone of what he knows. Although Speak, Brother do not hide their faith, their lyrics only give the briefest of glimpses of the faith. Pond-Boy is assured that if he sets sail out of the pond and heads out to sea he won't be alone. "Magnesium Burn" is another track that has been released as a single. 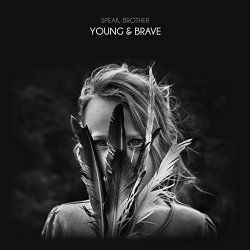 With the impression of speed given by the racing percussion on this album this is about the spark of life, the desire to be free and let loose and that we can be brave in our freedom. Again the vocals here bring this song to life wonderfully, and it sticks with you long after the song itself has finished. In fact that is the case with a number of these tracks. In some tracks the lyrics weave together a story and spell out a tale, in others it's much more about glimpses of the whole picture that we see. One of these tracks is "Father" which has a glimpse of a boy become a man, a girl become a woman, but all one family under God. The end of the song builds to a climax with many voices and quite an ethnic African sound including James doing his best to "channel" his "inner goat herder". Many of these songs touch on the pressures of life, but possibly none more than "Princess" which was a reaction from James about a news story that he saw, a 12 year old girl who killed herself, as well as being written to a friend suffering from depression. It's important that we talk about this area of mental health in the right way, because so often life can make us feel worthless, this affirming chorus tells anyone suffering from depression that "There's so much more than this / A rare divine purpose!" - words fade, the voices of negativity can be drowned out, and there is a greater purpose for you! Anyone who has come across Speak, Brother in recent years will probably be very aware of their next track. Originally released as a single in 2015 "Lion's Roar" was inspired by a moment James had with his Nephew, when confronted by the sea for the first time, fighting back the urge to cry, instead his nephew let out a roar! This inspired the song that just has the best chorus. When they released it previously it was as an anthem for the Rugby World Cup for the birthplace of the game, Rugby. They worked with the local media and schools and made a proper video. They also re-released this song as another single in the build up to this release. That light might shine through"
"Two Rings" is another older song that the band have re-recorded, this was originally on their debut EP. This speaks of an older couple who have seen life and have loved each other through their years together. "Empire" feels like the natural companion to "Man of Honour" because it talks about things that you have built as your empire falling apart. The trouble is many of us spend all our time building our empires, that they become everything, so if they fall apart, so do we. This also echoes the sentiment from "Pond Boy" that we are not alone in our boat and that things crumbling is the end of the old, but its the start of the new. Speak, Brother have managed to bring something very fresh to this album. Lots of very intricately built sounds and stories that James brilliantly pulls together with his incredibly engaging vocal. His range can jump from soaring chorus to echoing refrain and really carries each song infusing it with huge amounts of passion and compassion. I have been waiting for a long time for this album, this time feels right to bring a full-length release to the public, and the crowd-funding route may have been a bit of a risk, but it has paid off, because this is a folk album with just a light touch of faith to guide the listener towards the source of our help.